Wow! What a busy, fun weekend! 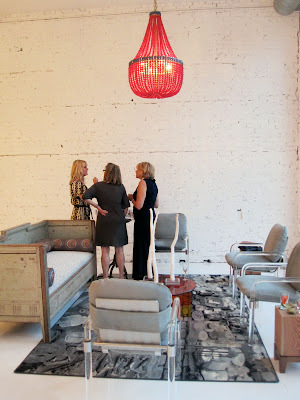 Friday night I joined Jess and Crystal in attending the openings of the new shop, SG Grand, and a Chicago designer's showroom in Chicago's West Town. There I soaked up my beautiful surroundings, drank more chardonnay than I should have, and met more fabulous, creative, chic people (aka the main reason I love the design world). Have a look! SG Grand is a mix of antiques and new pieces created by artists shop owner Debra Phillips has met and worked with. 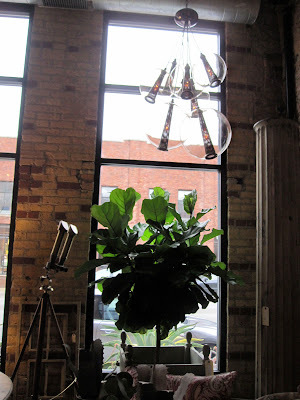 I have a new obsession with lighting fixtures, and this shop was filled with lighting eye candy. So much to take in in this eclectic store. 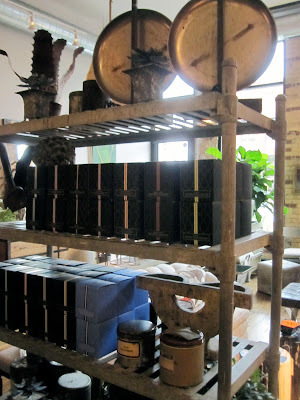 Loved the industrial, salvaged look of these shelves. This is a perfect solution for small spaces: use 2 to 3 petite end tables in lieu of a larger coffee table. 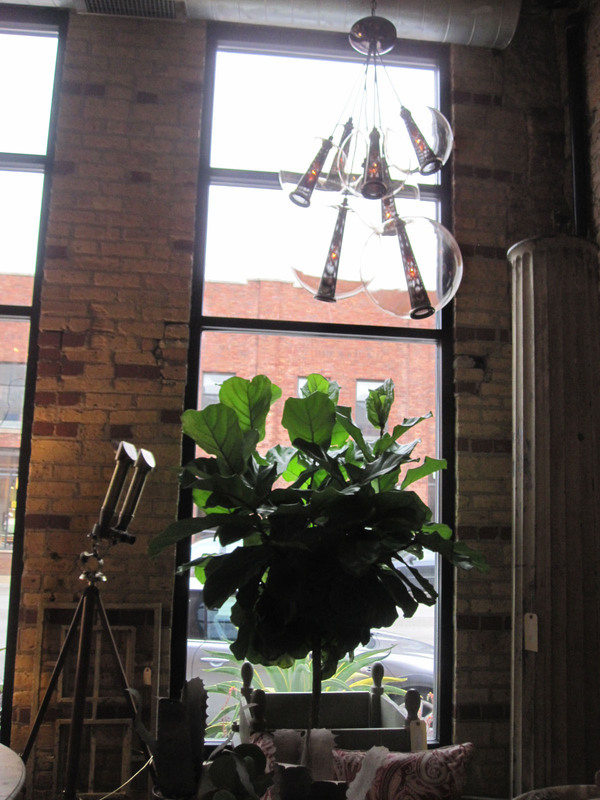 A bubble chandelier like I've never seen before. This beautiful pink and white flower arrangement was a perfect accent to the shop's home goods. Us gals with shop owner Debra Phillips (in green) who I have to say is one of the nicest, most genuine people I've met in a long time. She also owns a store, Scentimental Garden, in Geneva, Illinois. Of all the exciting events that occurred on Friday night, nothing was as exciting as being recognized as the blogger behind LCY for the first time in my life. 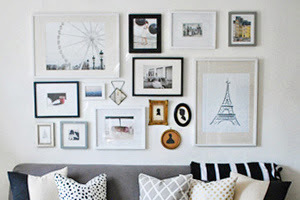 Former lawyer turned design blogger/ridiculously chic mother/resident of my childhood neighborhood, Marija of Holding Court, said she knew me and started reading my blog after I stole her comment at the Nate Berkus show. (Back story: audience members were asked where'd they want to take Nate given the chance, and I said the New York flea market. She said she'd been wanting to say the same thing had she been called on.) She and her husband were so much fun, and I hope to meet them again soon! 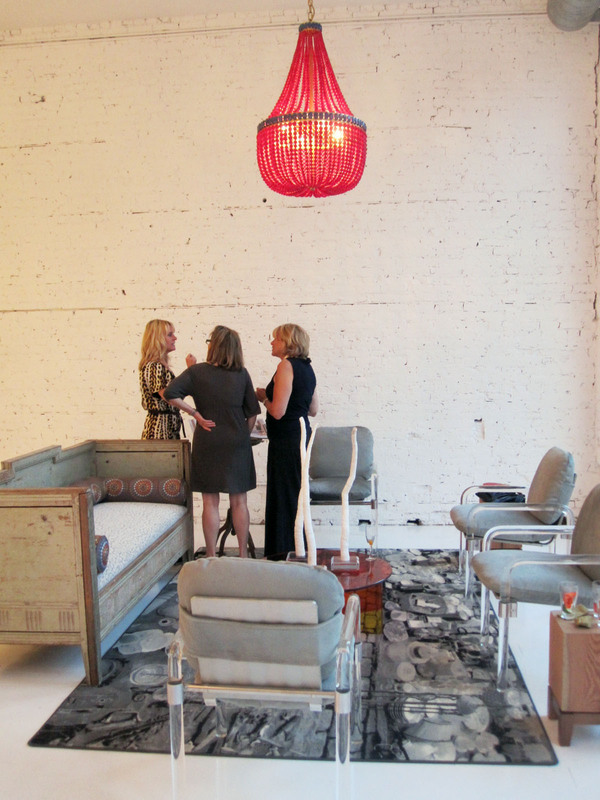 Right next door was another party for the new showroom of Chicago designer, Julia Buckingham Edelmann! Win, win. Now that's a conference table. The chairs are Eames and Bellini. But let's be honest, the two chandeliers make it. They remind me of a Medieval English castle. In a good way. Vintage lucite chairs, lucite coffee table, and antique daybed. Wow. Could not take my eyes of the red chandelier in the entryway. Whoever said painting brick was a sin clearly has never seen it done right. Fabulous! 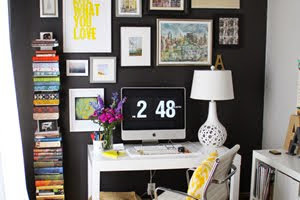 Julia's office complete with sawhorse desk and colorful accents. The painting reminds me of this colorful piece I saw forever ago in a Horchow catalogue and fell in love with. Delish sushi. Chairs are from DWR, lanterns were made of recycled cardboard, and the candlesticks are the legs from an old table! Can you imagine if everyone's "cube" looked like this, complete with bubble chandelier in place of icky florescent lighting? Employee satisfaction would be significantly higher. OH! And to top it all off, did I mention who else I met on Friday?! The one and only. Or I should say the two and only because what is one without his partner in crime? Eddie and Jaithan! If you do not know who they are, I urge you to crawl out from under your rock and click over to see their beautiful home in the premiere issue of Lonny on page 56. And finally, because I love shoes. Can you figure out what shoes belong to which person? Just doing my blogger duty to help you kill ten minutes at work. You should come check out Sentimental Gardens in Geneva! It is fabulous too! Love the shop! Oh my gosh! It looks like you had a fabulous weekend, I am so jealous!! Thanks for sharing it with us. Yet another reason why I need to get to Chicago. Eddie Ross has his arm around you---ahhhh! Too cute. I am SO jealous I just cannot even really properly speak. Stupid work and stupid crazy weather. What a great evening. We are very lucky to be in Chicago. Wow, sounds like an incredible weekend! Absolutely love the red chandelier! LOVE the red chandelier and painting in Julia's office!! Looks like a fun night! Pretty, pretty ladies! I'm definitely going to need to check out SG Grand. It looks fabulous and like you could get lost for hours in there. Congrats on an amazing weekend! We loved meeting you and can't wait to hang out again soon! Love all the shots of Debra's great store and, of course, all the fantastic shoes out that night! Looks like an amazing night! I attended Eddie Ross' wow event the Thursday before and I was ridiculously excited to meet him! I wish I could have attended the opening of SG Grand but sadly I had to go to my real job! Love your blog!! Beautiful event! 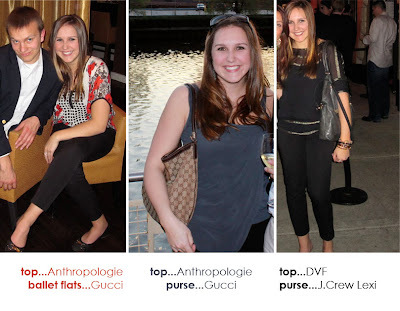 You captured the shoes, but I need to know about your Fab clutch!!!! Ant better photos of it? where did you get it? THanks! how fun to meet you and all your darling friends........all of you made the party look so chic! cannot wait to see all of you again, you girls are a force of charm and amazing talent. planning a chicago-area blogger party this fall, want to come? adding you to my blog roll, immediately! Alaina- can i please come to your awesome city and hang out with you and your awesome store openings? This looked like a fabulous night.